SLEEK, STRONG AND BUILT TO LAST - Have no fear, each case comes with a 30-Day Full Money Back Guarantee. 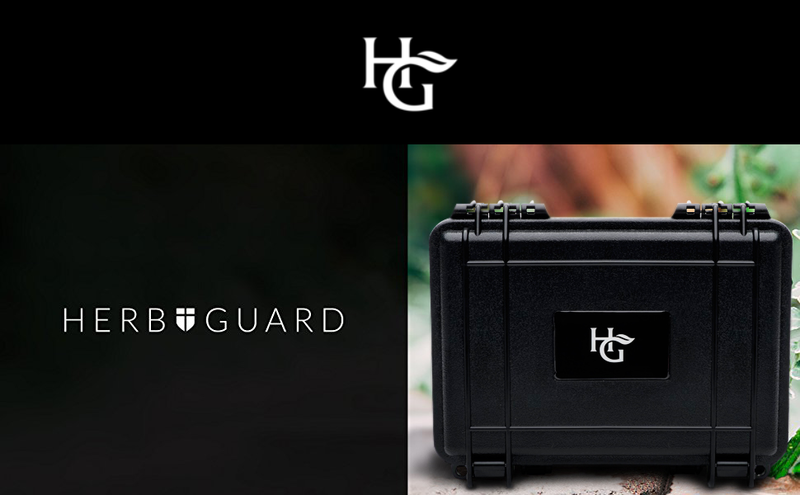 At Herb Guard we pride ourselves on providing the highest quality smell proof storage solutions, and the HG Smell Proof Container is no exception! The container comes equipped with a smell proof jar as well as 2 travel bags to make your home or traveling storage experience as easy and convenient as possible. The case also contains 2 combination locks to keep all of your contents safe and secure. You're getting much more than just a locking container. The smell proof case also comes with a smell proof jar that can be used to separate and store your favorite goods, as well as 2 travel bags and locks to keep your contents safe and private. No loud colors or obnoxious logos. The smell proof container has a discreet design with built in features to keep the container airtight and your goods fresh. The container comes equipped with a pressurization knob to maintain an airtight seal as well as provide 100% smell proof functionality. The container is 8.5 by 6.5 inches and holds up to 3 ounces of your favorite goods. The case has a built in handle making it easy for travel yet is also compact and small enough to easily store in your home or luggage when traveling. How does the container keep contents smell proof? The container is lined with an activated carbon filter. The lining has tiny pockets that trap and eliminate even the strongest smells. No matter what you store inside the scent will be gone. How big is the container? How much can it hold? The container is 8.5 by 6.5 by 4 inches and has inner dimensions of 7.25 by 5 by 3 inches. It can hold roughly 2 to 3 ounces of your favorite herbs, coffee, spices and teas.